The AquaFlex wetsuit is available in 3mm, and is perfect for diving in warmer climates. 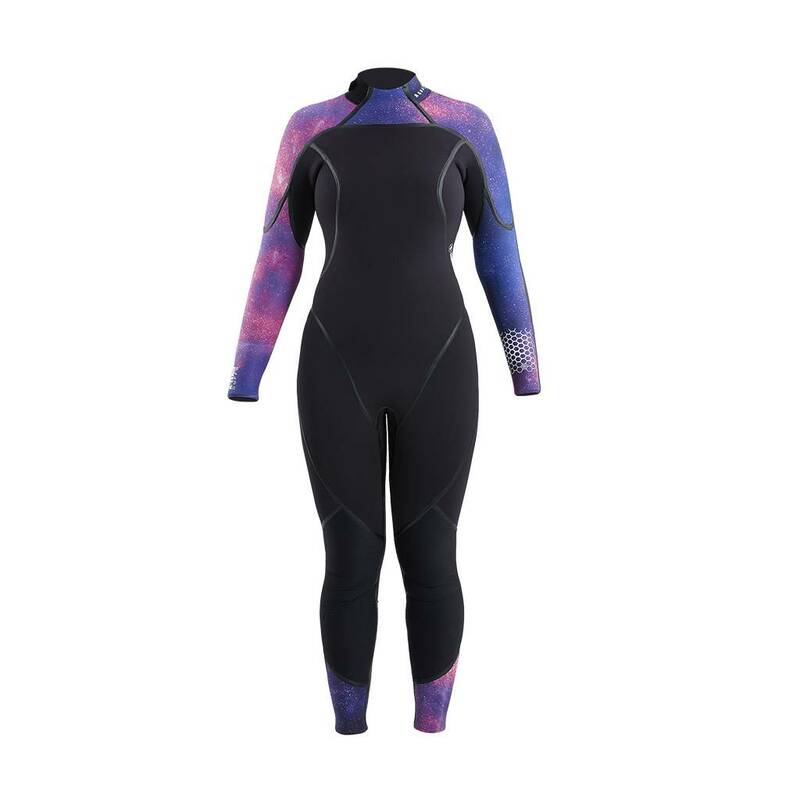 It provides maximum coverage against bumps and bruises without overheating. The Women’s cut is form-fitting and more comfortable. 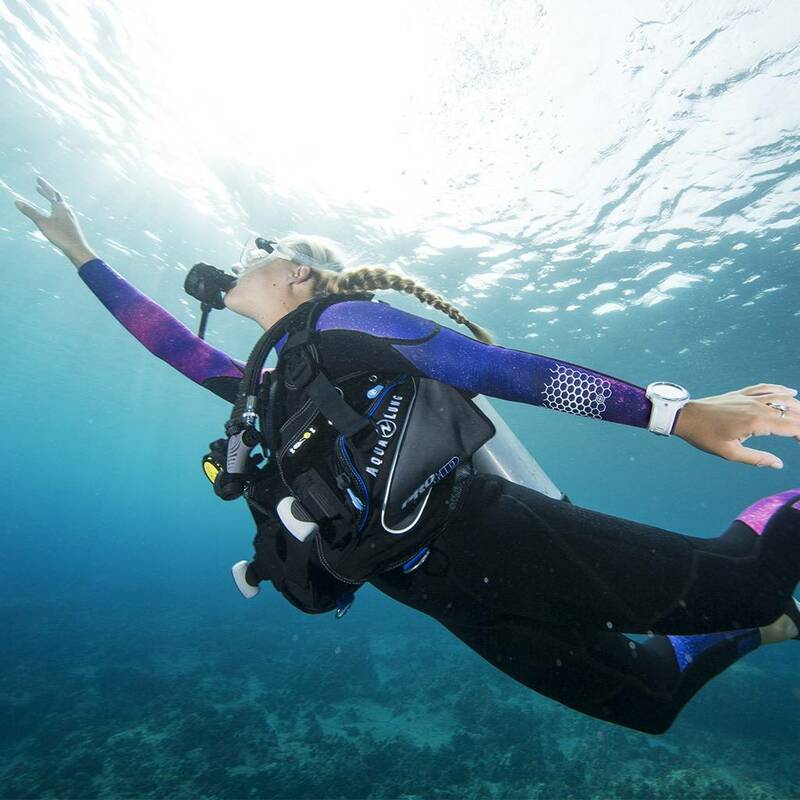 The AquaFlex wetsuit line features super-stretch neoprene and liquid-sealed seams for ultimate comfort and quality. 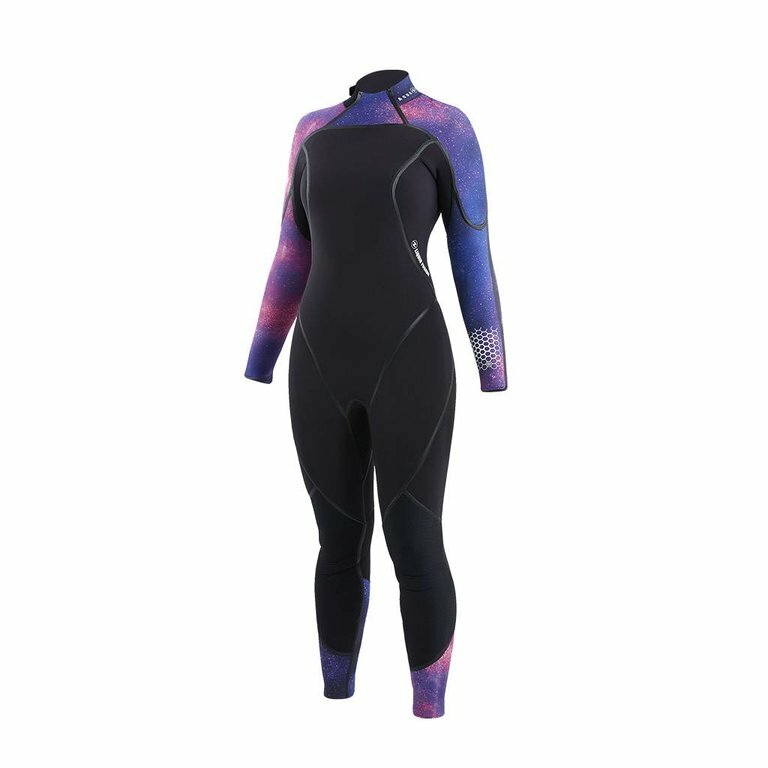 Super-stretch neoprene is used throughout the entire design, making the AquaFlex stand out against the competition. 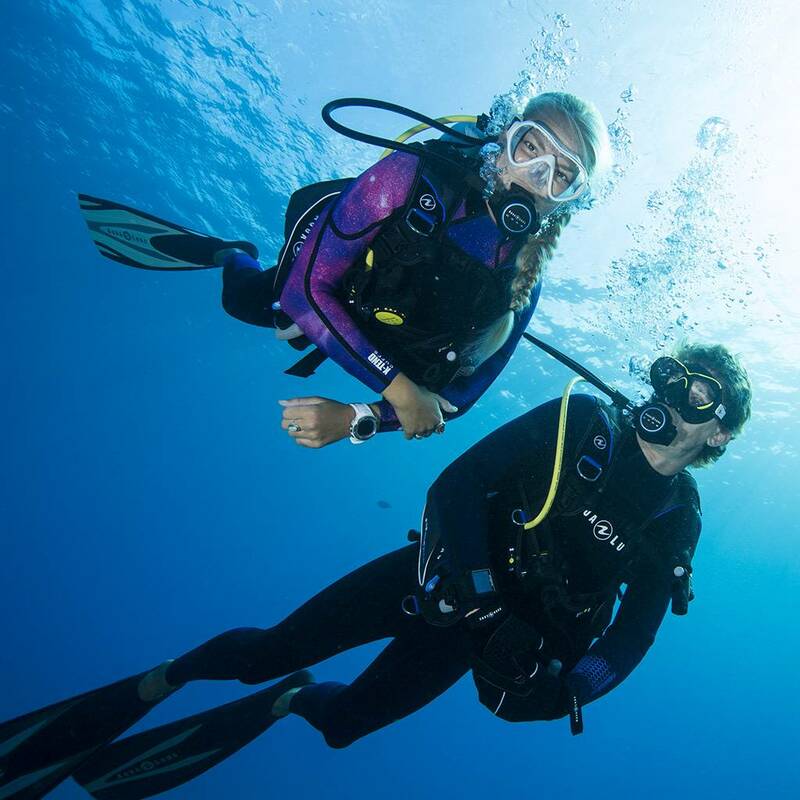 The suits are easy to get on and off, and are made to fit every body type, because the neoprene stretches three times as far as standard neoprene. Liquid rubber seals the seams to make them durable and to protect them from unraveling. The seals keep the maximum amount of water out and the maximum amount of warmth in. All cuffs are fused with X-Tend technology, which minimizes fraying and allows for more wiggle room. 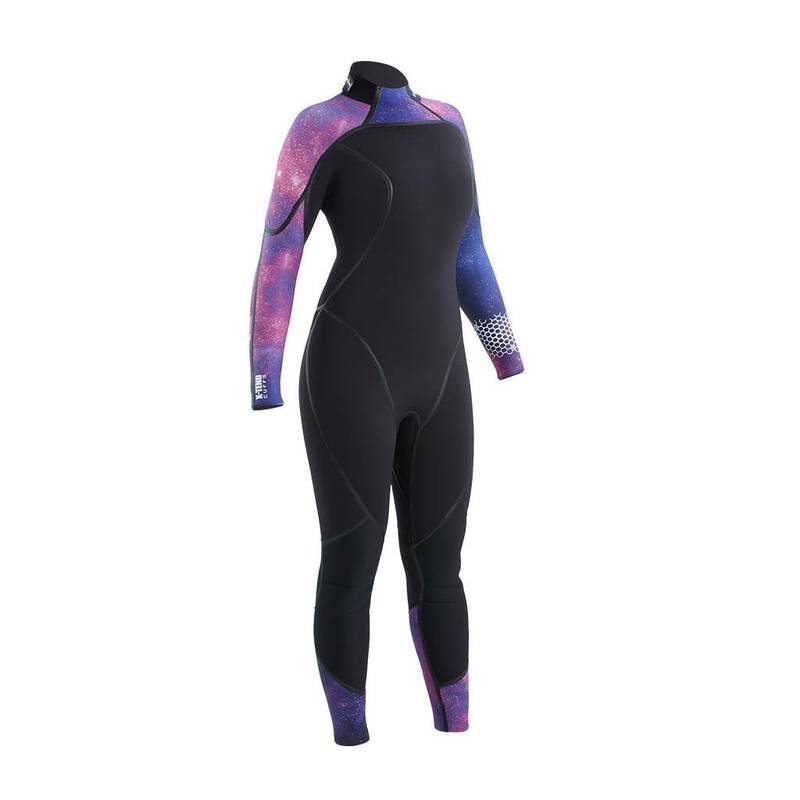 The silicone traction pad on the left sleeve keeps dive computers from rotating, and the internal chest and back panels have a thermal loop laminate to help keep in the warmth.